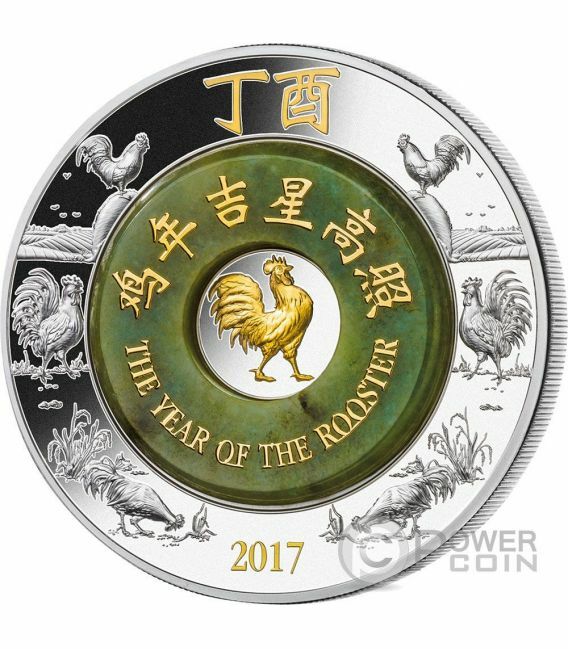 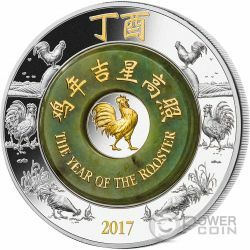 After the great success in 2011, 2012, 2013, 2014, 2015 and 2016, the seventh Lunar Silver coin with a real Burmese Jade insert, this magnificent piece celebrates the Year of the Rooster. 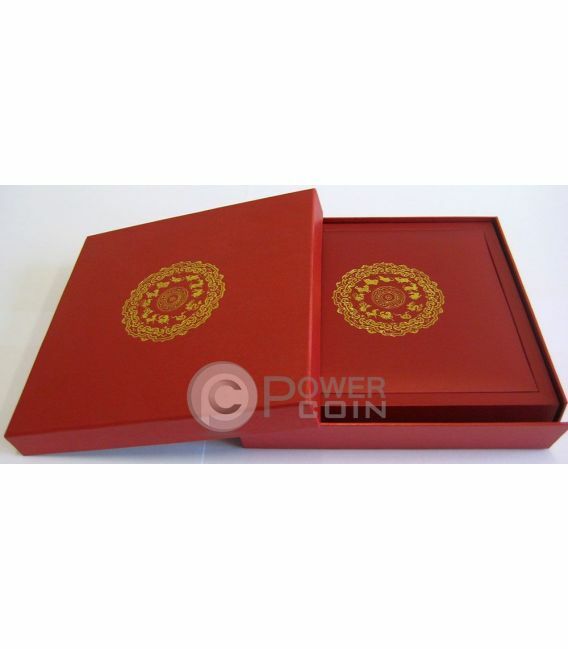 Minted from 2 Ounces of Pure Silver, the coin is gilded in Gold 24kt and comes packaged in a beautiful presentation case, along with the Certificate of Authenticity. 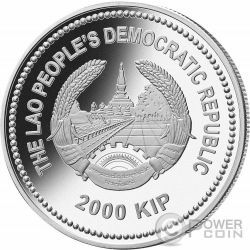 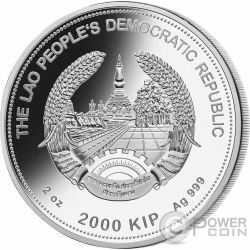 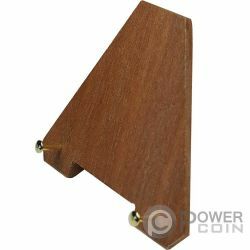 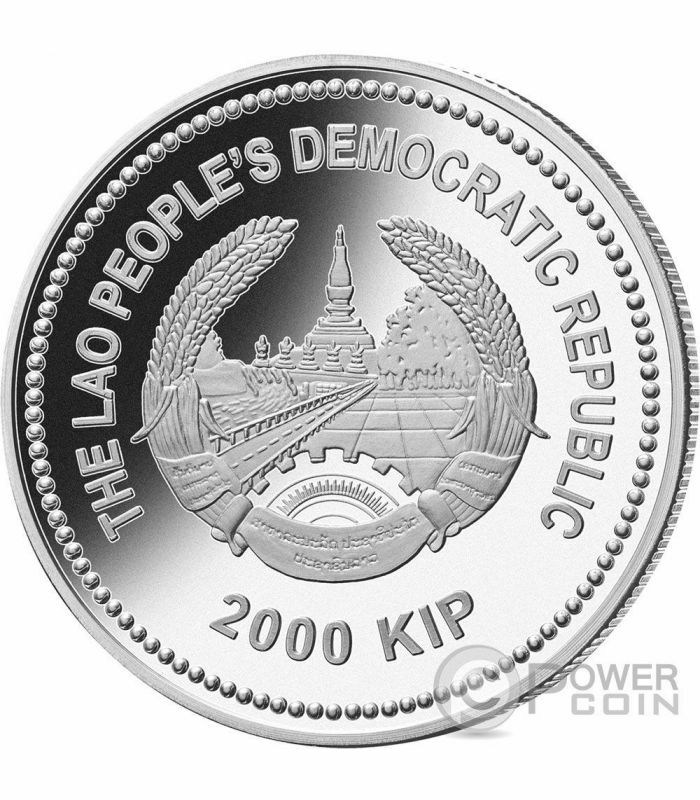 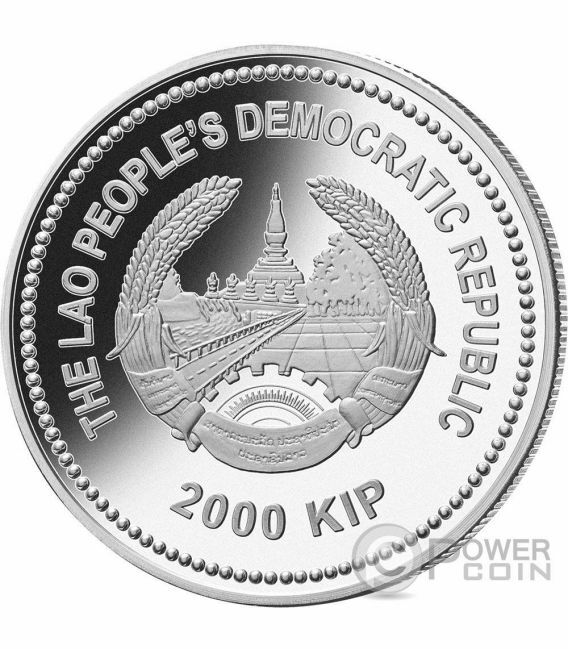 Limited mintage to 2.888 pieces worldwide.